The New England Patriots won their sixth Super Bowl last Sunday. As a Jets fan, each Patriots title stings more and more. However, it’s hard to deny, and hate on, their greatness over the last few decades. The Patriots defeated the Los Angeles Rams in the Super Bowl, and Rams coach Sean McVay was quick to praise the Patriots after the game ended. McVay said that he just flat-out got out-coach by Bill Belichick. It was clear the Patriots had a better game plan, and executed that game plan to perfection. Even though the Patriots are the greatness dynasty in, potentially, all of sports history, they were viewed as underdogs coming into the Super Bowl. The Rams had a better offense, more talented defensive players, young offensive weapons, and the hot new whiz-kid coach. The high-flying offense, talented defense, and all the other factors were more than enough reasons for people to believe the Rams could, and should, win the game. However, they forgot the slow and steady brilliance of the Patriots. The Patriots simply game-planned better, used the pieces they had better, and made adjustments better when necessary. Investors out there, does that sound familiar? 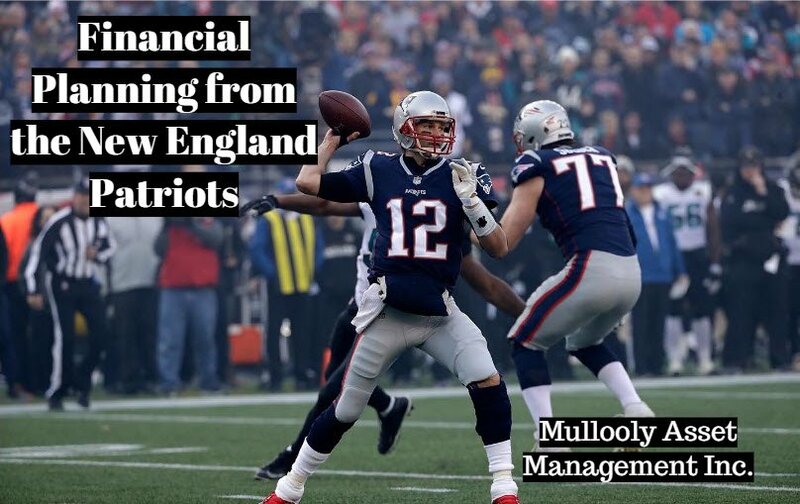 The Patriots model of success is easily comparable to success in the investing/financial planning world. You don’t always needs the hot new investments, the bright star that burns out quick, or the brilliant new money manager. You need a well thought out game plan, dependable building blocks, and the ability to adjust when life throws you a curveball. Were there teams that performed better than the Patriots over the course of this season? Yes. Were there investments that performed better than what you owned in your portfolio last year? Yes. Are either of those reasons to panic and rip up the script? NO. Was it clear that small adjustments to the gameplan needed to be made during the Super Bowl for the Patriots to pull out the victory? Yes. Do things change every year within the confines of your financial plan that call for small adjustments in order to stay on track? Yes. 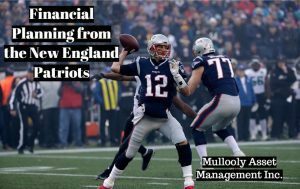 Even if you hate the Patriots, use their model of success to help breed success in your own financial life. By the time you get to retirement, it’ll feel like you actually won the Super Bowl. How Much Does an Investment Advisor Cost?